While we're embarking on a decline for bearded faces, that doesn't mean hair is going to entirely fall out of style. Actually, it's more like a slow fade, with men going from bushy to trimmed. In India, cosmetic surgeons and dermatologists have noticed that the shift in facial hair trends has had men flocking to them to achieve the look. "There is certainly a demand for a more sharpened beard these days," Dr. Anup Dhir, a cosmetic surgeon from Delhi, told Indian Express. "People do come to get their facial hair sharpened and shaped in order to attain that perfect rough look. Sharpening is done using laser treatments." Instead of shaving it all off, try shaping your beard. At Skin Solutions, we offer laser hair removal treatments that can help you get rid of pesky hairs and maintain a clean scruff. 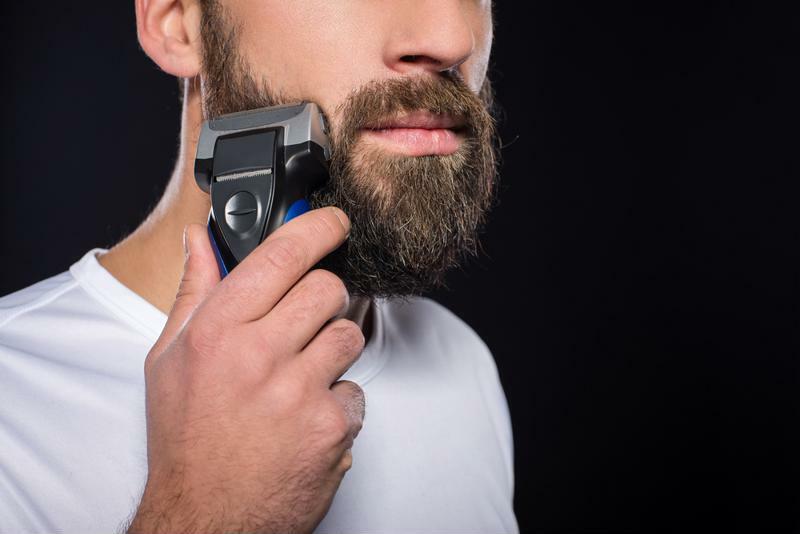 Laser hair removal treatments can keep your beard in control as you transition to a smoother look. How long have you been trying to grow the perfect beard and neglecting all that skin below it? You're probably long overdue for some very necessary care and might get a rude awakening once all that hair is gone. Instead of using hair as a cover up for any flaws or insecurities, think about treating yourself to a facial. Our range in facials can help bring your complexion back to healthy levels and clean out all those dead skin cells that have been hiding under your lumberjack scruff. If you're looking for a deeper clean, you could opt for an exfoliating peel. Our peels can remove thick layers of dead cells and boost collagen so you're left with smoother, hydrated skin. If you're transitioning back to a hairless existence, it's important to start a proper skincare regimen. By consulting with our office on a treatment for your skin, you'll learn all the ways you can better care for it yourself. To schedule an appointment, visit Skin & Cosmetic Solutions today.